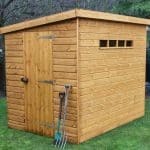 Whatever your requirements this shed will suit your gardening needs. 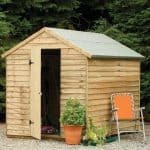 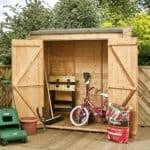 Strong and sturdy and made from hardwearing wood with tongue & groove cladding for extra strength, this shed will store all of your gardening equipment neatly. 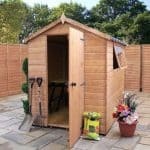 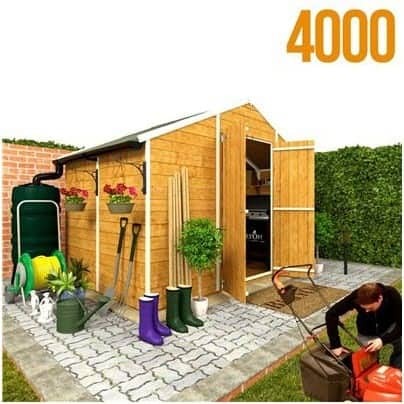 This is a mid-size shed which is suitable to any space and with just enough room to store your everyday garden equipment, some of the children’s toys and your sun loungers. 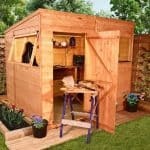 You may even find room for you to pop up a deckchair for a sit down with your favourite gardening magazine and a cup of tea. 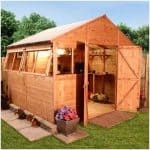 A good value, long lasting and attractive garden shed guaranteed to be pleasing purchase.